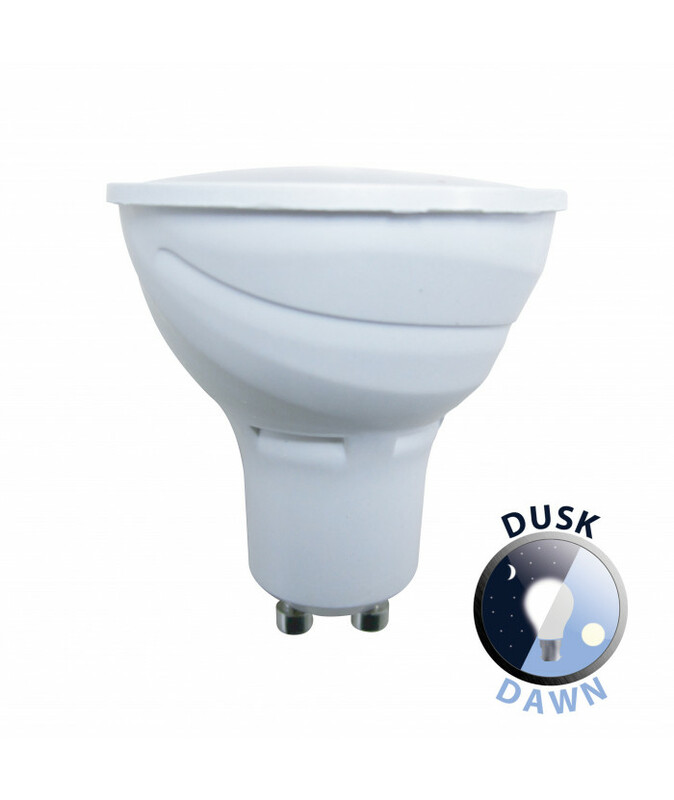 This 3w LED GU10 spot light bulb with integral dusk till dawn sensor in neutral white and 210 lumen is a replacement for any GU10 lamp. Neural white 4500 kelvin and suitable for any light fitting. Best suited to external fittings, this non-dimmable light bulb is energy efficient and convenient. It features an integrated lux sensor so that the bulb automatically switches on at dusk and off at dawn. The photocell senses the dimming light, automatically illuminates itself when required and turns itself off again when it’s light, removing the need for a dedicated photocell light fitting or external sensor. Fit into an outdoor wall light or use in your home when you’re on holiday for extra security, this LED light bulb is versatile, energy saving and convenient. Assuming a cost of 14p per kWh, this bulb uses just £1.23p of electricity per year if used for eight hours every night.